Starting the new year off with some travel inspiration in the form of a Charleston guide. I was so amazed by the charm of this beautiful city (seriously, I wanted to buy every single house I saw). 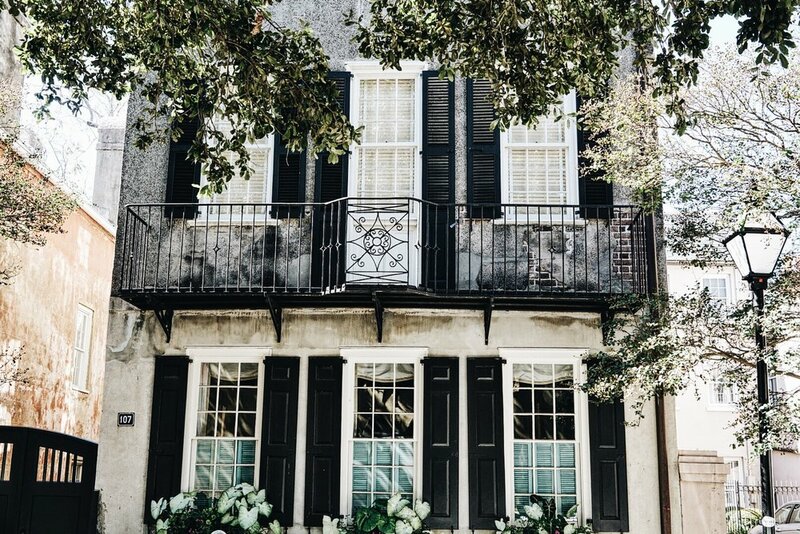 It makes for the perfect weekend trip from most cities in the US and you definitely don't want to miss out on experiencing true southern charm for the first time. We stayed at the incredible Zero George while we were there, and you can find a detailed post on that here. What are some of your travel bucket list plans for this year? Husk - For elevated southern food in a beautiful old house. Book ahead or show up right at the opening. Cannon Green - Amazing brunch in a creative location near King Street. Zero George - Elevated Southern food in a beautiful courtyard. Butcher and Bee - Colorful lunch location in an up and coming Charleston neighborhood. 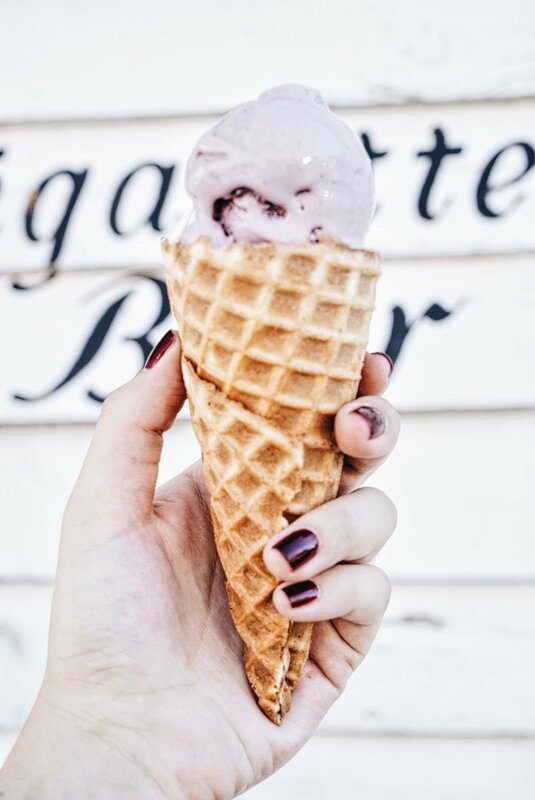 Jeni's Ice cream - The most famous ice cream spot in the south with the best handmade cones. Vendue Hotel Rooftop - Gorgeous view of Charleston at sunset in the heart of downtown. The Gin Joint - Great drinks in a cozy bar and ideal while waiting for a spot at Husk. The Ordinary - We didn't manage to go, but it's supposed to be incredible and located in an old bank building. Black Tap Coffee - Try the lavender latte. 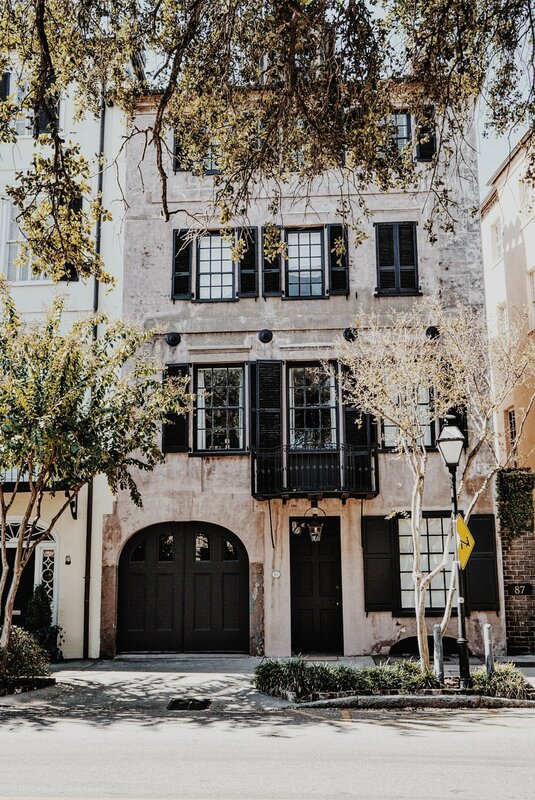 South of Broad / The Battery - Real estate envy at its finest, take a bike to explore and make sure to stop by rainbow row. King Street - Charleston's main street with the cutest shops. Boone Hall Plantation - Filming location of the Notebook, need I say more? Aiken Rhet House - A crumbling Charleston mansion, in the best way possible. Candlefish - The cutest candle and interior design shop off King Street. Savannah Bee - For honey based everything. The Commons - Gorgeous home made ceramics.